Vijender Singh is also donating a month’s salary to the martyrs of Pulwama attack. 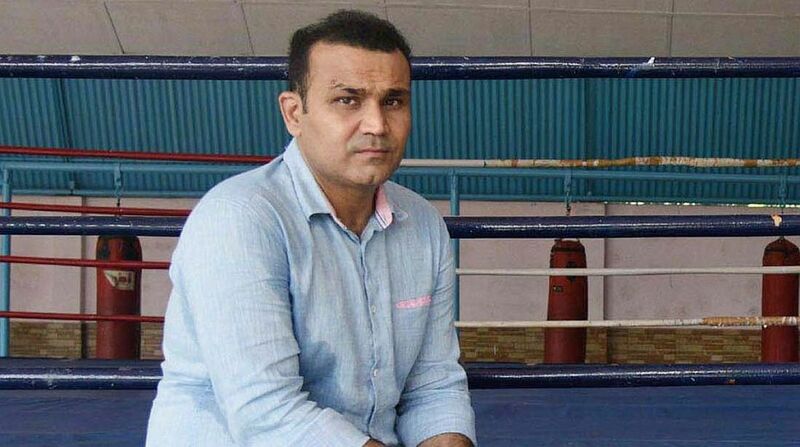 Veteran Indian opener Virender Sehwag on Saturday offered to take care of the educational expenses of children of all the CRPF personnel martyred in the dastardly terrorist attack in Jammu and Kashmir’s Pulwama district. On Thursday, at least 44 CRPF soldiers were killed in a suicide attack while several others are battling for their lives. The attack in Pulwama is being termed as the deadliest terrorist strike in three decades in the valley. “Nothing we can do will be enough, but the least I can do is offer to take complete care of the education of the children of our brave CRPF jawans martyred in #Pulwama in my Sehwag International School @SehwagSchool, Jhajjar. Saubhagya hoga,” Sehwag wrote from his official twitter handle. Meanwhile, boxer Vijender Singh, who is employed with Haryana Police, is also donating a month’s salary to the martyrs of Pulwama attack. “I’m donating my one month’s salary for the martyrs of #PulwamaTerrorAttack and want everyone to come forward and support the families. It is our moral duty to always standby them and make them feel proud of their sacrifices. Jai Hind,” Vijender Singh wrote on Twitter.